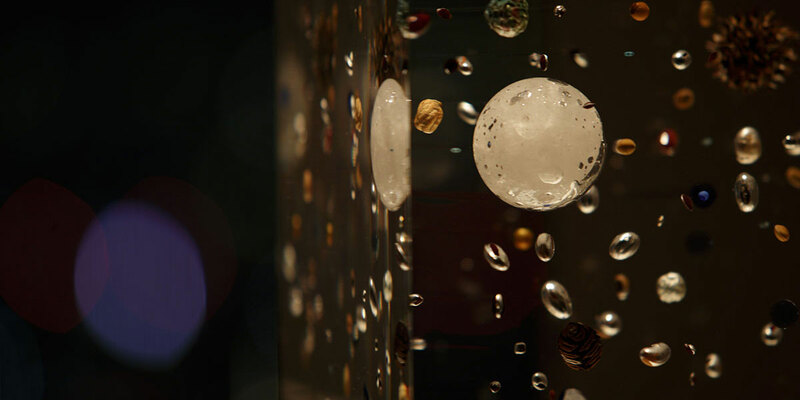 THE MOON is a museum restaurant where you can immerse yourself in the world of art. We offer an elegant French-inspired menu based on the finest gastronomic dishes. Choose from three courses using seasonable fresh ingredients from all over Japan. Whether lunch or dinner, we provide a true gastronomic experience, any time, any day. We can arrange a seating layout to suit your needs, no matter how large or small. All the artwork on display was specially purchased for your enjoyment. 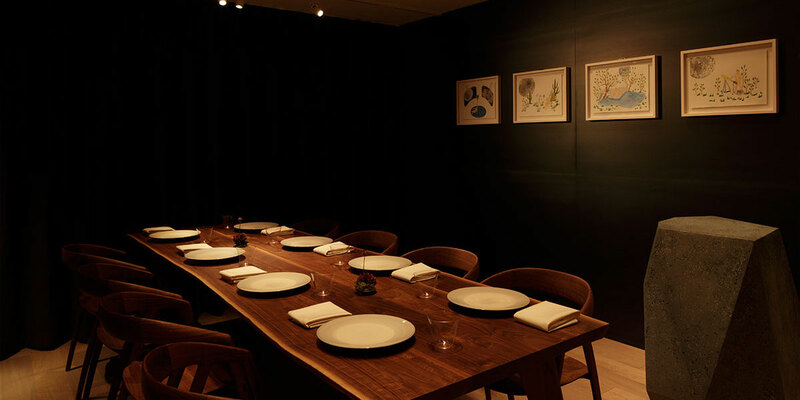 There are four leading artists - Shinoda Taro, Hiroshi Sugimoto, Hirose Satoshi and Haegue Yang - and you can read all about them on the back of our menus. 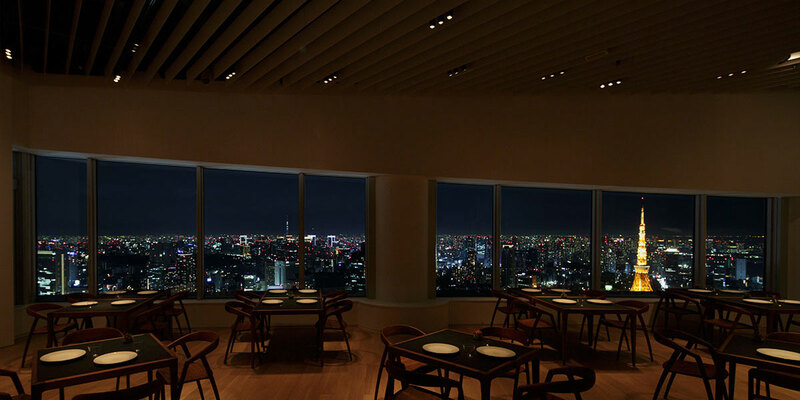 Considering the association with the Mori Art Museum, the space was created to highlight works of art and the finest food. The atmosphere is one of peace and tranquillity, taking in the Japanese spatial concept of Ma - a consciousness of place and an awareness of form and non-form. 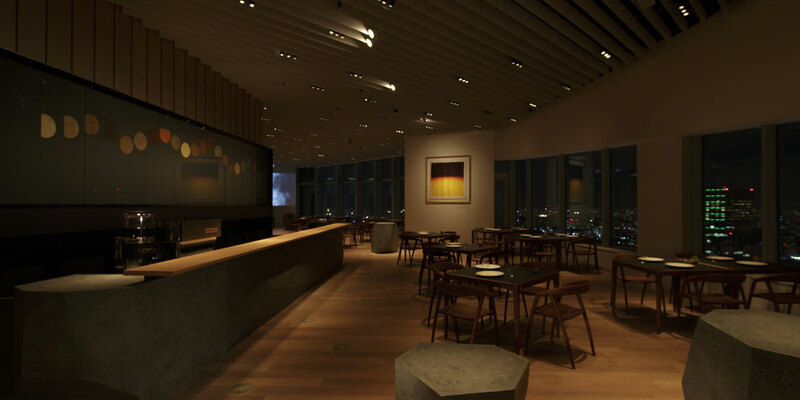 Minimalist in its d辿cor, the focus is on materials of tables and chairs and the form of a bar counter. Nowhere else can you enjoy the ultimate panoramic view, taking in the breathtaking sights of the Tokyo Tower and Sky Tree at the same time. Please contact us about hiring the restaurant for parties, events and photoshoots.